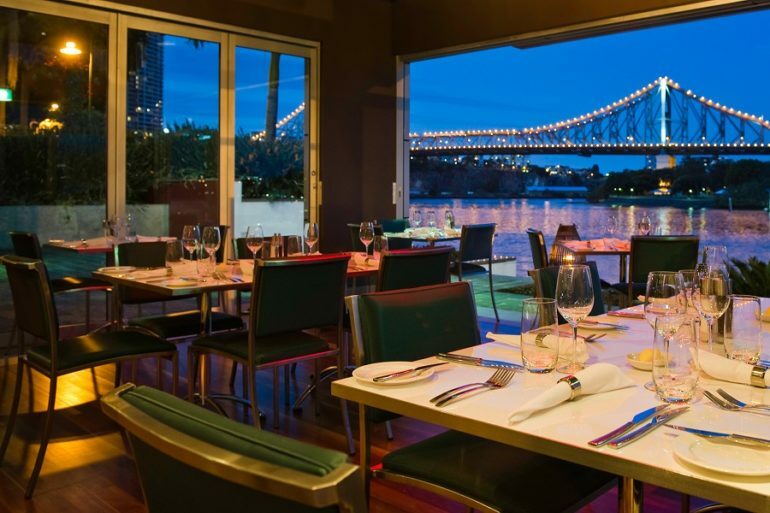 Whether you’re in Brisbane for business or passing through on your way to visit family or friends, you may find yourself looking for a tasty meal minus your usual dining companions. There’s no need to feel like Nigel No-Friends if you seek out the right spots, so check out four of the best places to dine alone in Brisbane city and make the most of the experience. If you’re staying at Meriton Suites on Adelaide Street then you’ll want to check out Alchemy Bar & Restaurant for one of the best views and dining spots in the area. Arrive early and request a table outside, order a wine and peruse the a la carte menu of fresh seafood and slow cooked options as you enjoy the river view. Who needs a dining companion when you have the lights of Story Bridge twinkling at you over the water? One of the best ways to dine alone is to sit at a trendy Brisbane bar, giving you the freedom to talk with the bartenders or to get lost in your own little world with a cool cocktail. One of our favourite places to do this is at Public, which is nestled on George Street in the CBD (and also happens to be a three-minute walk from our Herschel Street accommodation). Ask for a charcuterie board for one along with your tipple of choice from their extensive drinks menu, and relax in the rustic atmosphere. If you’re wondering where to eat at South Bank Brisbane that’s quick and cheerful, then head to Taro’s for ramen to remember. The tall benches here are ideal for the solo traveller, as you can read a good book or simply watch the world go by after ordering on the provided tablet device. You’ll also find Taro’s same mouth-watering flavours at 480 Queen Street in the CBD. Whatever the location, expect flavourful soups and noodles served up with ice cold beers. What we like about Libertine is its vintage-boho styling that offers plenty of cosy spots for you to sit without feeling out of place. Pull up a bright red barstool, or find a nook in the outdoor terrace with its soft lighting in the evenings. We’re very fond of the French-Vietnamese fare on offer here, which is all as much a feast for the eyes as much as the tastebuds. Treat yourself to a passionfruit and lime spritzer or an espresso martini while you’re at it, and enjoy your you-time!